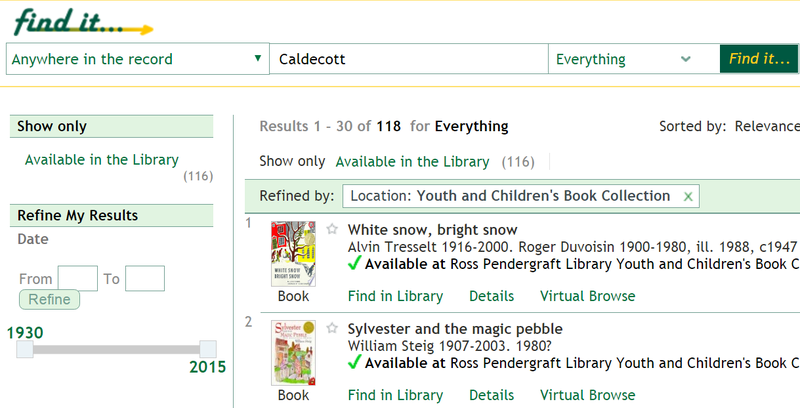 The full list can be seen by visiting our A-to-Z Databases page and scanning all the titles to the right marked “NEW”. 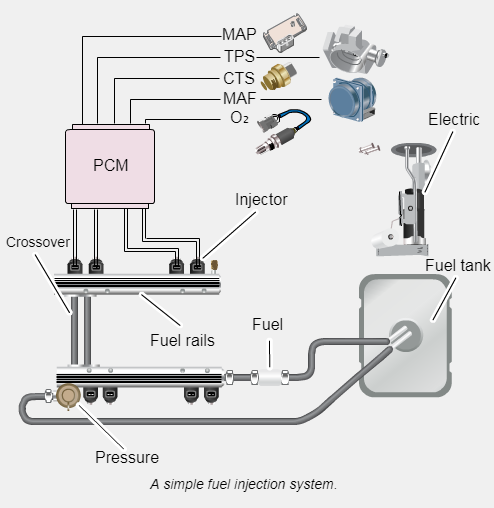 This database represents the most authoritative automotive repair information available to car owners. If you or someone you know is a gearhead, a Chilton’s manual would have been a required accessory in the garage. 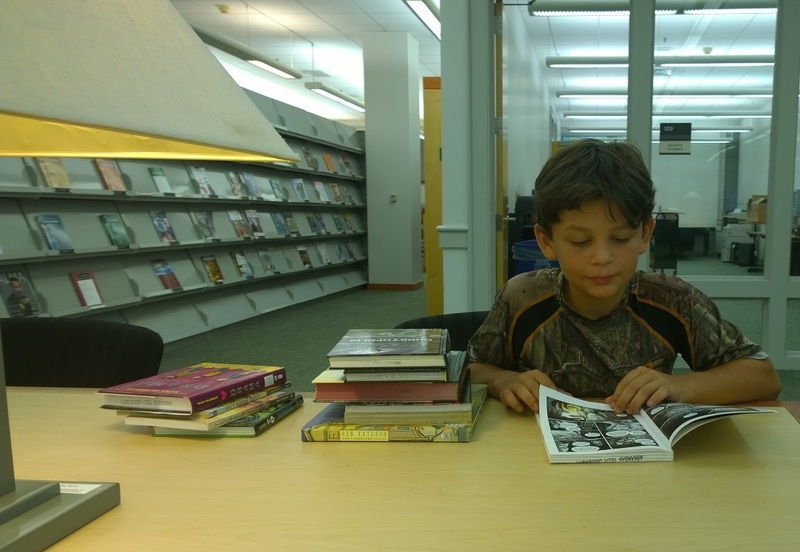 With access to Chiltonlibrary, say goodbye to grease-stained manuals (though, perhaps hello to grease-stained laptops and ipads). Includes (for some vehicles) labor estimating, maintenance schedules, repair, and recalls. Some sections include video tutorials. ASE Test prep quizzes are also available. This database provides access to scholarly journals and magazines that support research in areas including drama, music, art history, and film-making. The database emphasizes full-text content for publications included in the Wilson Art Index and RILM bibliography. Gardening, Landscape & Horticulture Collection serves horticultural enthusiasts of all levels with more than 3.6 million articles from more than 100 journals, as well as more than 20 reference titles from Delmar, including Handbook of Flowers; Foliage and Creative Design; Computer Graphics for Landscape Architects; and more. Gender Studies Collection provides balanced coverage of this significant aspect of culture and society. The database offers access to scholarly journals and magazines covering topics including gender studies, family and marital issues, and more. While primarily geared towards high school students, this resource is rich in curriculum resources for students in secondary education programs. 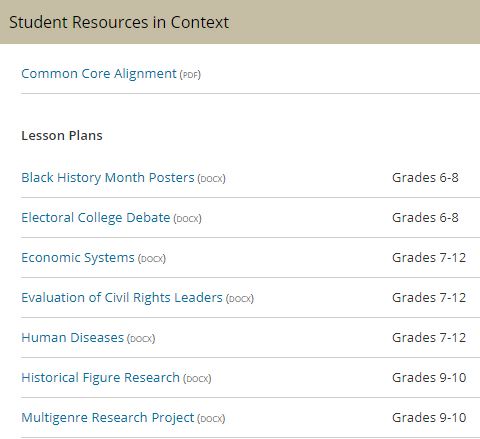 Browse curriculum standards at the state and federal level and find educator resources including lesson plans and worksheets for high school students conducting research and writing papers. This list makes up only a small fraction of the resources and databases now available online at our website. For more information on these databases and how to search them to find what you need, ask us! Keep checking us out on Facebook, Twitter, and Instagram for more updates as we continue to bulk up our collections and services. Welcome home and welcome back! The Library is open and ready for new and returning students & faculty. Over the summer, we’ve really bulked up with new services, new hours, and new databases designed to help everyone keep calm and carry on through the academic life of Tech. Here’s the top five things you should know about Tech’s most popular destination for studying, printing, and researching. The Library is the best and ONLY place on campus open for studying, printing, and meeting after midnight at Tech. From Sunday through Thursday, we remain open until 1:00 AM and continue to offer excellent and slightly over-caffeinated service long after other offices and buildings close. In addition, the Library will now offer extended hours on Friday, Saturday, and Sunday. Beginning Friday, August 25th, the library will remain open until 8:00 P.M. on Fridays and Saturdays during the regular fall semester. Additionally, we will open early on Sunday’s at 1:00 PM beginning Sunday, August 27th. Check our website for full schedules, special hours during holidays, and our upcoming 24-hour schedule at finals. Feel free to bring in a coffee (with a lid) and burn the midnight oil with us. Login to a computer in the General Lab. Press Ctrl + P or find a Printer Icon to print your academic paper, course schedule, or cute cat pics. Get up and look for the printer stations. These are separate computers next to a large laser printer. Login with your Tech Username/Password or simply swipe your ID at the station. You should see your document ready to print. You’ll also see the balance on your account and the cost of the job. If everything looks right, press print. Prints costs $0.10 a page in black and white, but we also have a color printer that eats up $0.30 a page. Every student starts with $20 on their account each semester. But if you run out of money on your account, you can always top it off with cash at the PHIL station, next to Circulation Desk. If something goes wrong or you can’t find the right printer, friendly staff are standing by on all floors to help with this very thing. The Library offers study rooms, multimedia-use rooms, and even an audio lab to record songs, mix music, or narrate video. Reserve space using our online reservation system, Book It. The Library has 5 study rooms that can be reserved by any Tech faculty, staff, or student on a first come, first serve basis. 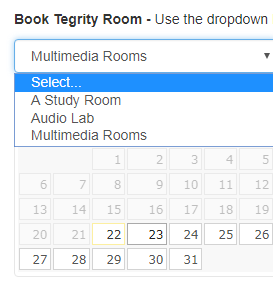 If you need to make a Tegrity recording, reserve one of our Multimedia rooms. These all-purpose rooms allow you to record yourself taking an exam for instructors, create video or audio presentations, or use interactive software such as Read & Write Gold or Pronunciator. 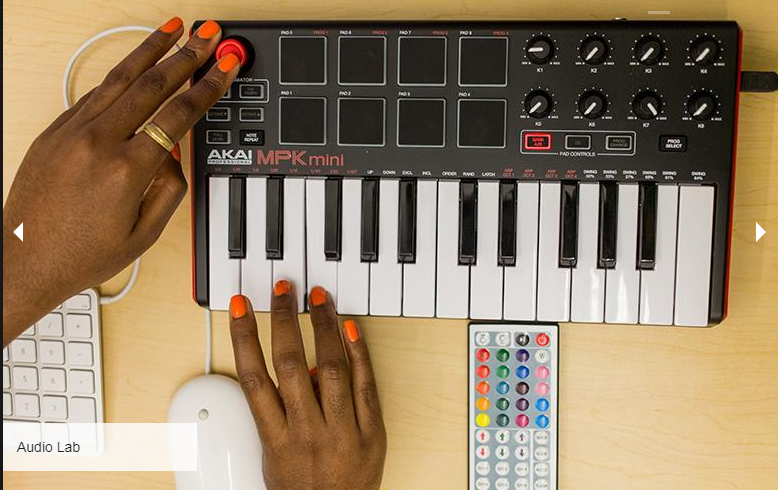 If you need to make a podcast or lay down some sick beats, you might want to book some time in our new Audio Lab. Open to all students, faculty, and staff, the audio lab contains sophisticated software and hardware designed to create professional recordings. Professional staff are standing by to help you learn the software and make something amazing. 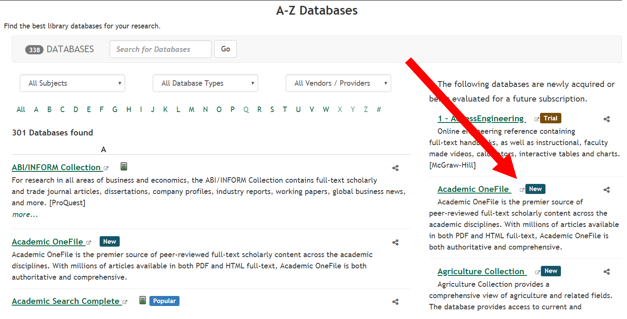 If you need something more specialized, see our list of A-to-Z databases, containing over 200 topical databases for every subject or format need. A search engine will never replace the listening, knowledgeable, and compassionate humans at the Library (at least…not yet). We have dedicated, friendly staff poised to drop anything to help you succeed. We thrive on questions, and chase after answers like the professional information hunters that we are. When you are in need of an answer and don’t know who to call, call us: (855) 761-0006. 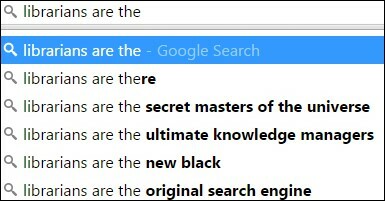 We may not always know the answer, but we know the right place to find it. You can also ask us a question via Ask-A-Librarian or text us at (479) 802-4876. So come by this semester, either online or in-person, and let us help you find the answers, book a study room, or print your cat pictures. In the meantime, welcome (back) to Tech and good luck! Filed Under: Library Tagged: General, Hours, Library Collection, NEW! Did you know that DVDs are not the only thing you can check-out at the Ross Pendergraft Library? The Circulation Desk, located on the first floor, keeps an entire collection of supplies and materials that you can freely borrow for a few hours to power up your late-night study sessions and keep more money in your pocket. These are brand new, 4 x 3 feet, mobile, magnetic, reversible, and remarkable dry erase boards that you can check out for the low, low price of nothing. Borrow for two hours, then renew for another two hours, if needed. They offer large writing space to draw out all your molecular diagrams, musical arrangements, mathematical formulas, and next year’s NCAA basketball brackets. Pairs well with our dry erase markers. What can you do with a dry erase board without dry erase markers? 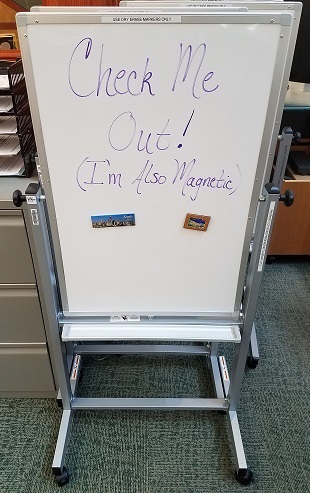 Don’t find out by borrowing a set of markers at the Circulation Desk. 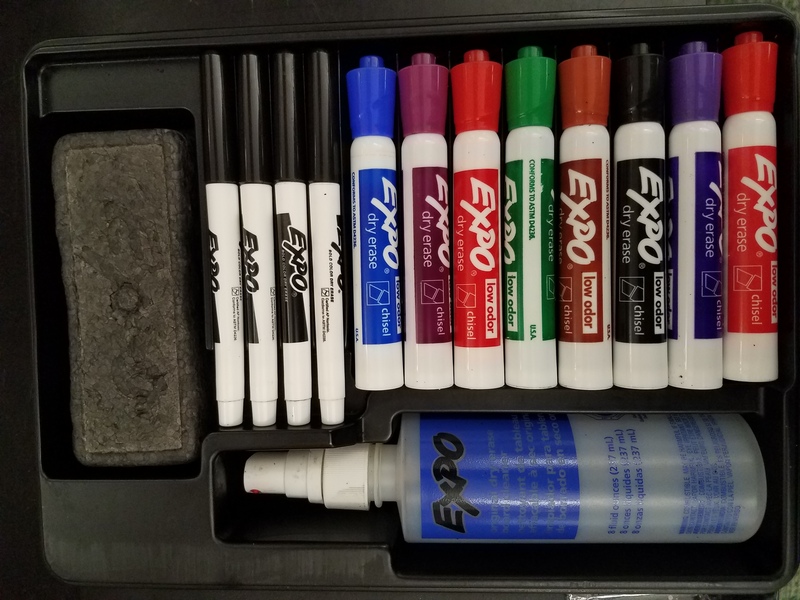 Each set of markers includes 8, multi-colored thick point markers, 4 black fine-point markers, an eraser, and a bottle of cleaner. You can check them out for two hours and renew them for another two. Why have computers come down in price, but a graphing calculator still costs the same as it did twenty years ago? 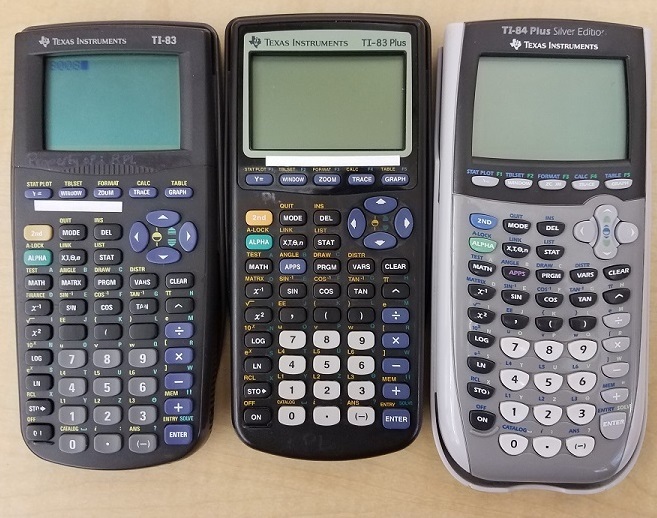 Some mysteries may never be solved, but if you still haven’t saved up the bucks to buy one, and just need a loaner for a few hours, the Library has the TI-83, TI-83 Plus, and the TI-83 Plus Silver available for four hour check-out. Four hours! You can renew it for another four, as well, which is probably more time with a graphing calculator than is recommended by the American Psychological Association. Experience two hours of moderately okay sound with our sturdy, pre-sanitized, and surprisingly comfortable headphones. These headphones have circulated hundreds of times, making them the most popular item available in the library. Don’t you want to be popular too? Wear the same headphones as everyone else in the library, and you’re well on your way. The Circulation desk—your source for the treasures above and more—operates as long as the library is open (though some of the services are reduced during the wee hours of the open-24-hours-for-finals period). So when the bookstore is closed, and you don’t have a friend to take you to the store, come see us! We won’t be your friend or anything (we barely know you), but we can sell you a Scantron and let you borrow our headphones. Which is kind of like something a friend would do. Filed Under: Library Tagged: Library Collection, NEW! 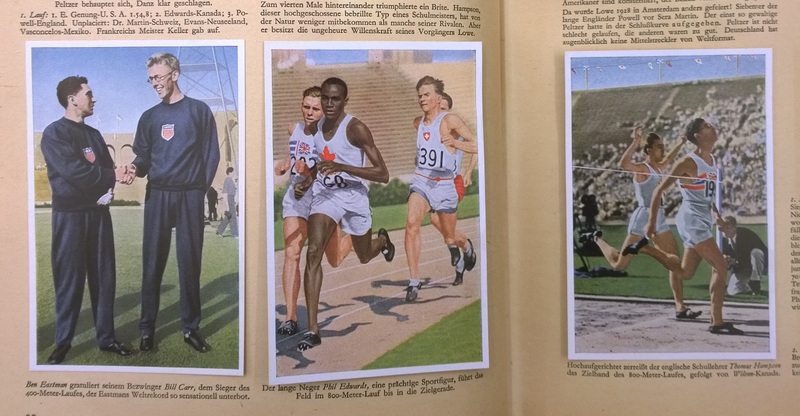 Published in Germany in 1932, shortly after the games have ended, the book contains 200 black and white and hand-colored photographs. What makes this particular book so special is the fact that it is a completed cigarette card album. Cigarette cards originated in the 1870’s to stiffen cigarette packs. 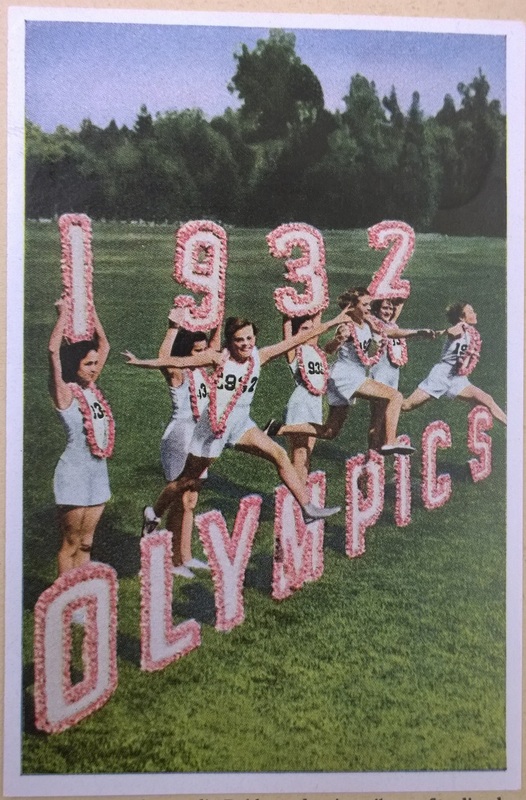 Advertisers quickly realized the potential, and they started printing pictures and other information on the cards for people to collect. The most famous example of this were baseball cards, which first became popular in the 1880’s and continue to be collectors’ items today. The tobacco companies would sell special albums for particular sets into which you could paste your collection of cards. 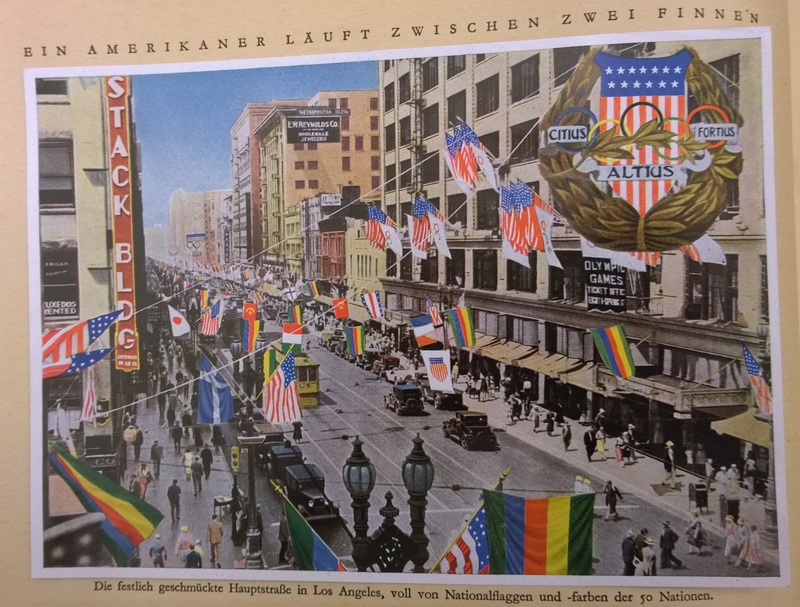 Not only is this book unusual in form, it is also worth noting that the text was produced in Germany—by a German cigarette company, Reemstma—during the build-up to World War II and the rise of Nazism. 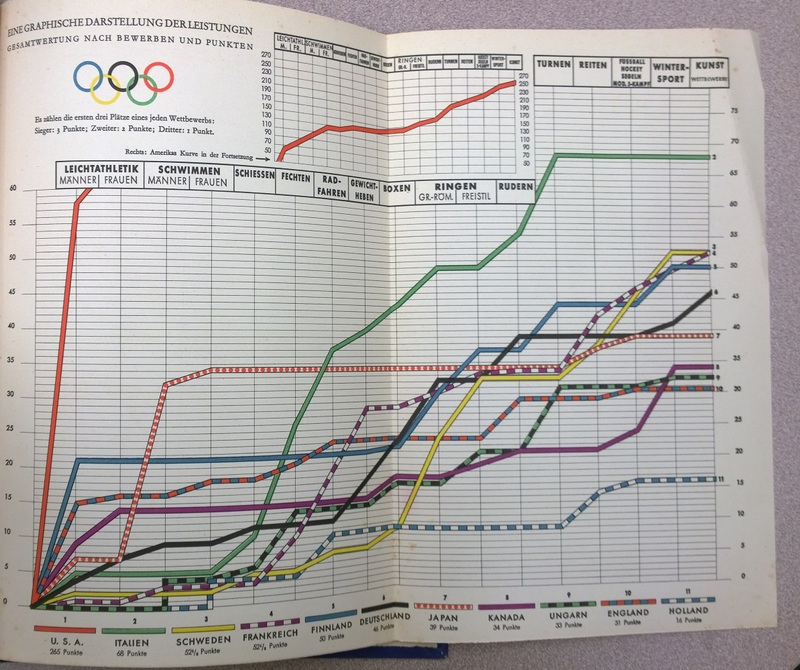 This is a primary source of their impression of these multi-cultural games held in the United States. 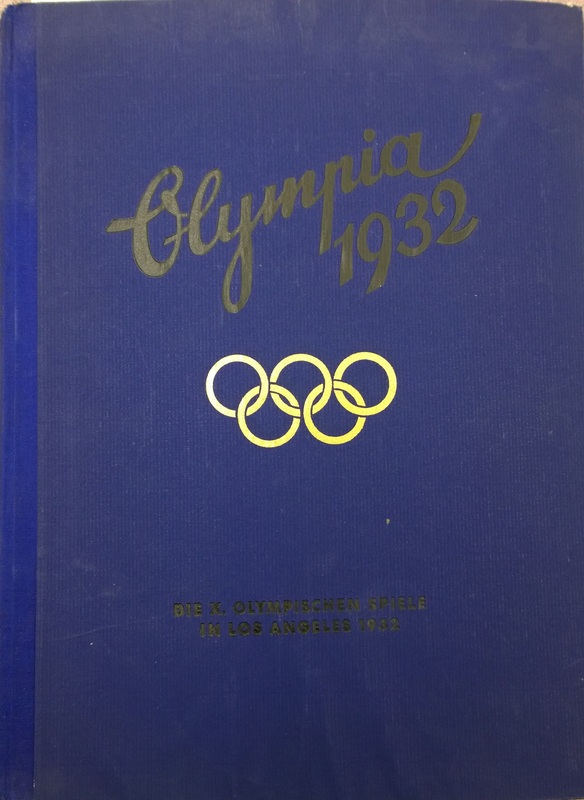 Germany was to host the next Olympic games in 1936. 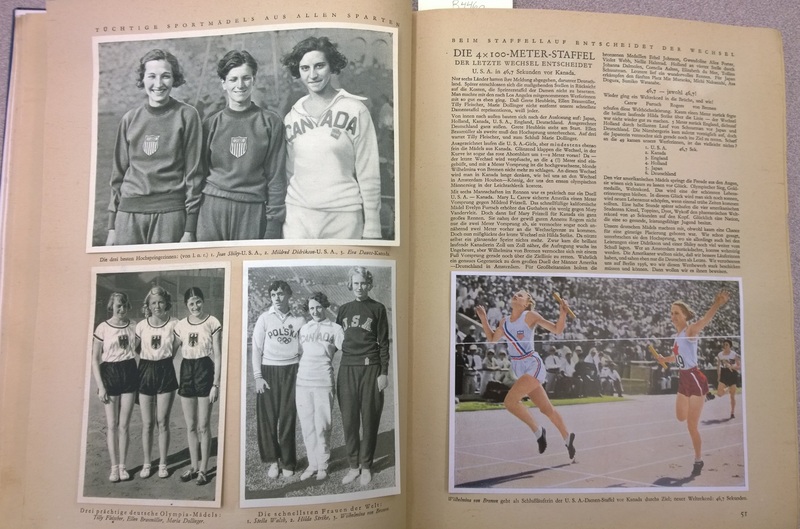 In this volume, the cards have been securely pasted onto the yellowing pages, and feature beautiful glimpses of athletes, dignitaries, events, and venues in stunning detail. 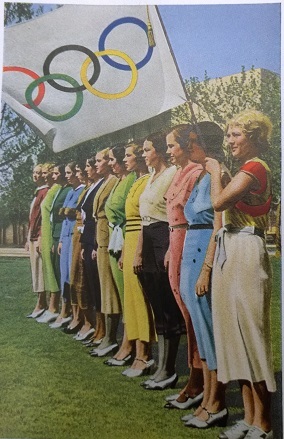 Read more about the 1932 Olympics, Cigarette Cards, the astonishing story of the 1932 women’s 100 meter gold medalist, Stanislawa Walasiewicz, in our history database, Historical Abstracts with Full Text. Special Collections contain the library’s rare books, Arkansas materials, Arkansas Tech publications, and the master’s theses produced at ATU. You can discover this collection in our online catalog by limiting to location “Special Collections”. These materials do not check-out, but you may read, touch, and smell these rare items within the library by making an appointment. 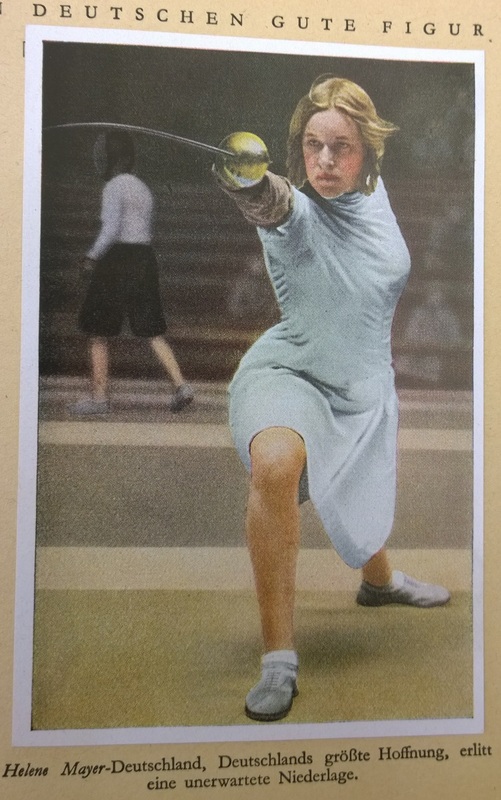 To do this, send an email to the keepers of the Olympic torch at askalibrarian@atu.edu or pole-vault over to the reference desk where our friendly staff still hold the world record for 100 meter customer service while wearing a cardigan. “Library of Congress Web Site Offers More than 2,100 Early Baseball Cards on-Line.” U.S.Newswire, Sep 30, 1998. https://libcatalog.atu.edu:443/login?url=http://search.proquest.com/docview/451185971?accountid=8364. It’s now high summer. The campus is mostly quiet, and the geese are taking full advantage of the lull in student population. But inside the Ross Pendergraft Library, things are shifting and shuffling around. Big changes are in store for the upcoming fall semester, and the staff here are hard at work managing the multiple projects going on this summer. 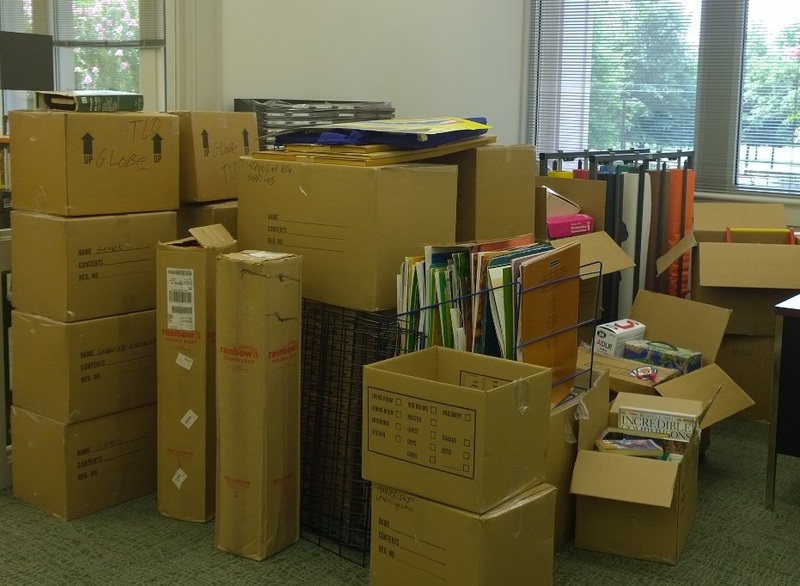 One of those projects involves the migration of the Curriculum Materials Library from Crabaugh Hall to the Ross Pendergraft Library. Over 6,000 volumes of children’s books, teaching materials, and young adult fiction will be integrated into our existing book collection. The new addition will also include a die-cutter tool for making bulletin boards, a laminating machine, butcher paper, kits, oversize story-books, and more. A Young Adult Fiction section will be created, as well as a separate collection for teacher preparatory materials, called the Curriculum Library Collection. In the fall, this space will be ideal for the future teachers of Arkansas to explore a diverse and modern children’s book collection along with a wealth of resources for classroom preparation. Right now, however, we have some work to do. When the migration is complete, a full celebration of the new Curriculum Library will be held later in the semester. But for now, we want to highlight just some of the people doing the hard work to make all of this possible. Circulation workers, Amanda and Mackenzie, trying to avoid paper-cuts. It takes skilled, dedicated, and resourceful people to merge two library collections together in less than a few weeks. Boxes have to be moved, sorted, unpacked. Shelves have to be moved and put together. Heavy boxes, heaved. 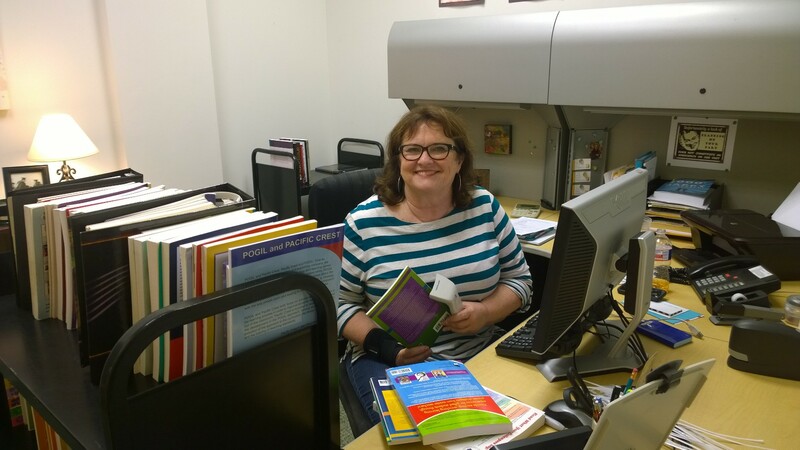 Incorporating the new books involves cataloging, barcoding, stamping, labeling, re-labeling, shelving, and shifting. Ultimately, it involves teamwork, precision, patience, and sometimes band-aids. 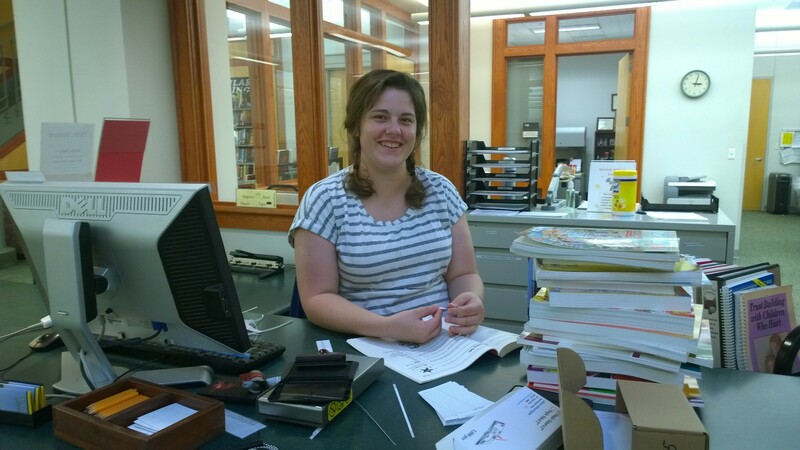 Beverly Cooper—Reference Desk rock star, keeper of the good band-aids—getting another batch ready for the shelves. Filed Under: Library Tagged: Children's books, Library Collection, NEW! Germany gets a bad rap for being unfunny, but you may find yourself chuckling at a few of our selections, or caught up in the drama and intrigue of others. Many of the choices here relate to activism and anarchy brought about by Germany’s tumultuous times following World War II and the Cold War. What to Do In Case of Fire? (Was tun, wenn’s brennt? ): (2001) An old bomb in a building has just exploded, and six former anarchists have to scramble together to hide the evidence. Hilarity ensues as they get through this less-than-ideal reunion. Good Bye, Lenin! : (2003) A young man’s mother goes in a coma during the collapse of the Berlin Wall. In an effort to keep her from suffering a fatal shock once she awakens, he goes to great lengths to make it seem as though nothing has changed. It’s a heartwarming mother-son flick, and one of my favorite films we viewed in a German Film seminar I took long ago. Downfall (Der Untergang): (2004) A gripping drama capturing the final days of the Nazi regime, and one theory to Adolf Hitler’s demise. One particular scene was made infamous on YouTube as a gamer rant. Masterfully filmed, it is an uncommon perspective on World War II. The Edukators: (2004) A combination of the anarchist film and German Heimatfilm (or nature film set in or near the Alps), The Edukators is like a German-language version of The Bling Ring, except the young people who star in the film are poor students who protest the rich. A young girl and her friends decide to kidnap a wealthy businessman after strapping her with a mountain of debt following a car wreck. Rashômon: (1950) Following the murder of a samurai, the story of his death is told from the perspective of a bandit, the samurai’s widow, and (through a medium) the victim himself. The film causes viewers to question everyone, as unreliable narrators are everywhere. Ran: (1985) Inspired by samurai legends and and resonant with Shakespeare’s King Lear, a Japanese warlord decides to retire from his position and divide his kingdom among his three sons. If you are familiar with the Shakespeare version, you know that this does not end well. The film is widely held to be a classic and one to see before you die. If you are a fan of long shots and epic battle scenes, look no further. Grave of the Fireflies (Hotaru no haka): (1988) A young boy tries to survive in Japan with his sister in World War II. After the death of their mother, and unsure if their father will ever return from his duties as a soldier, they must endure starvation and other wartime horrors together, finding sole comfort in watching fireflies at night. The Tale of Princess Kaguya (Kaguyahime no monogatari): (2013) Based on a Japanese folk tale, the film begins with a bamboo cutter who finds a tiny girl sleeping inside the plant. The beautiful and rebellious young girl, at first the size of a finger, will remind viewers of Thumbelina and other Disney princesses. The film journal Sight and Sound wrote a review of the film last year. Women on the Verge of a Nervous Breakdown (Mujeres al borde de un ataque de “nervios”): (1988) Many of Almodóvar’s movies feature characters of various backgrounds whose love lives cause their paths to cross. In this case, a woman’s lover turns out to be the lover’s lover to another woman. All About My Mother (Todo sobre mi madre): (1996) Following the death of her son, a woman travels to Barcelona to tell the father, who never knew about him. Talk to Her (Hable con Ella): (2002) Two men are in love—one with a famous bullfighter and the other with a dancer—both of which are in a coma. The two men form a friendship, but their closeness is tested when one of them commits a terrible crime. Bad Education (Mala educatión): (2004) The film centers on the lives of two boys who meet in a Catholic school, and their complicated emotional and sexual relationship in the span of 30 years. Volver: (2006) Spanish for “to return,” a mother who had died years ago comes back to the land of the living to resolve unfinished business with her surviving family. The film stars Penelope Cruz, who appears in another Almodóvar film, Broken Embraces. Diabolique: (1955) From the Internet Movie Database (IMDB): “The wife of a cruel headmaster and his mistress conspire to kill him, but after the murder is committed, his body disappears, and strange events begin to plague the two women.” It is considered a classic horror masterpiece. Delicatessen: (1991) A French horror film set in the future where a shopkeeper serves up people as meat. Not for the faint of heart and queasy of stomach. Man Bites Dog (C’est arrivé prèz de chez vous): (1992) This intersting mockumentary begins with an interview with a local serial killer, who explains, “Usually, I start the month with a postman.” The title is translated to English as “It Happened in Your Neighborhood.” Set in black and white, it is a meta-film about three directors (starring the directors!) filming a serial killer, who wind up getting their hands dirty in the process. High Tension (Haute Tension): (2003) An excellent selection if you like your horror with a little psychoanalysis and feminist resonance. Although not available at RPL, director Alexandre Aja helped write this fairly recent horror film that plays with point of view, which you should definitely add to your Netflix queue if you enjoy the classic slasher film style of 80’s and 90’s horror. If this list of suggestions has further whet your appetite for more international titles, use our Find It… tool to search for more! The library’s film collection continues to grow, so keep an eye out for new titles. 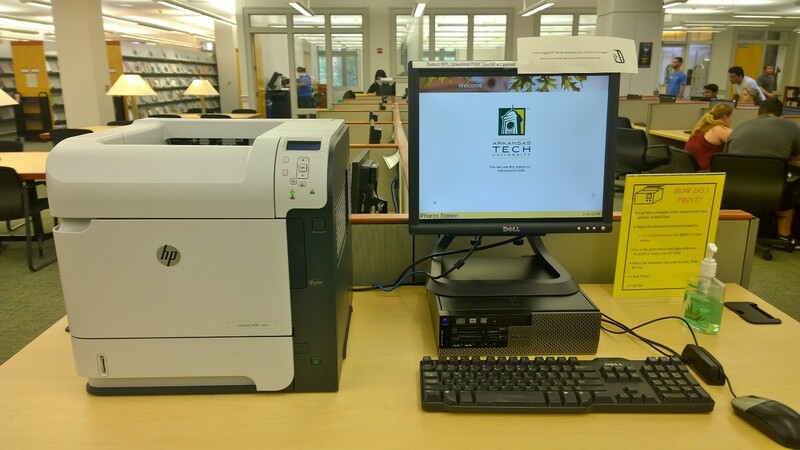 The Ross Pendergraft Library of Arkansas Tech University recently announced its plans to phase out all print materials from its facility. Beginning April 1, 2016, all books, periodicals, newspapers, law books, maps, dictionaries, microforms, and other physical items will be systematically de-shelved and destroyed. Library Director Brent Etzel stated to the bored local and national press, “Everything you could ever want is online or digitized now, and patrons rarely use these physical copies anyway, so we might as well get rid of them. Students and courtesy patrons only come here to use the computers, anyway.” Following his announcement, held outside the library steps, he glanced wearily at the face of Ross Pendergraft and muttered solemnly, “All in all, we’re just another brick in the wall,” before trudging indoors, avoiding further comment. The removal of said items, admits Circulation staff, will be no easy feat. Among these items are over 160,000 bound volumes of books, over 4,000 CD’s, 6,000+ DVD’s, 110,000 government documents, and the current and backlogged issues of over 300 scholarly journals. Special collections, popular reading, and children’s reading will also be “done away with,” stated Etzel. The library director did not provide details on what was to become of these items, but some reporters caught subtle references to a Ray Bradbury novel; anonymous insider information recently leaked online revealed a top-secret library staff “retreat” to be held following initial removal of items. Although the itinerary was composed of code writing consisting mostly of call numbers in both Dewey Decimal and Library of Congress, so far Internet code breakers have managed to piece together the call numbers on books in the recreation section that includes recipes to campfire s’mores. RPL library staff could not be reached for comment. Click here to see the proposed schedule of physical items leaving the library. Gotcha! 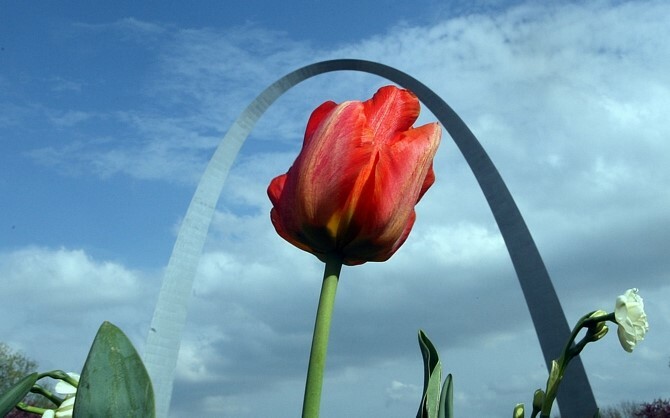 Happy April Fool’s, everyone! The first floor of the library used to be the home of many legal materials from the Pope County Law Library. However, most of those books are now out of date, difficult to search, and available online through our LexisNexis database. 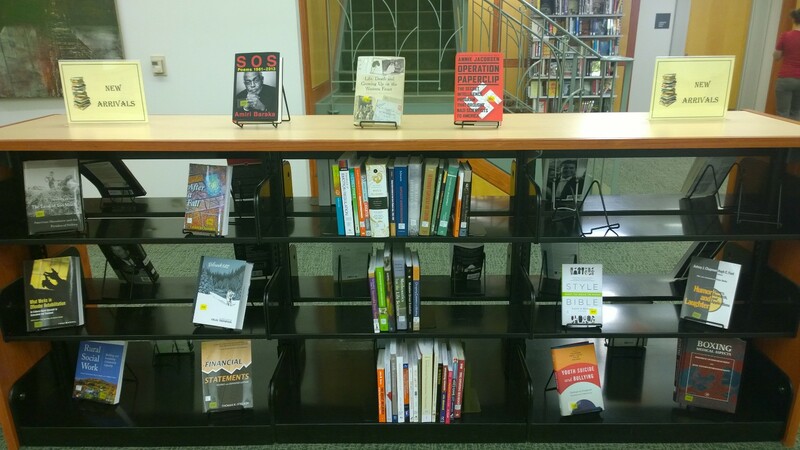 Therefore, we have removed those items from our library. 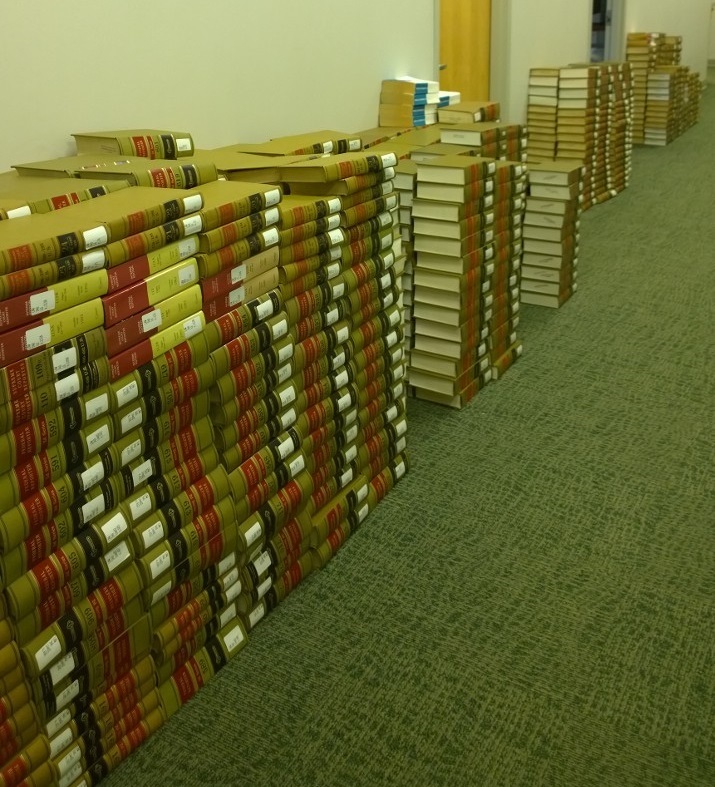 We still have the Arkansas Code, Acts of the General Assembly of the state of Arkansas, West’s Arkansas cases, and other locally important legal volumes in our Reference Collection. 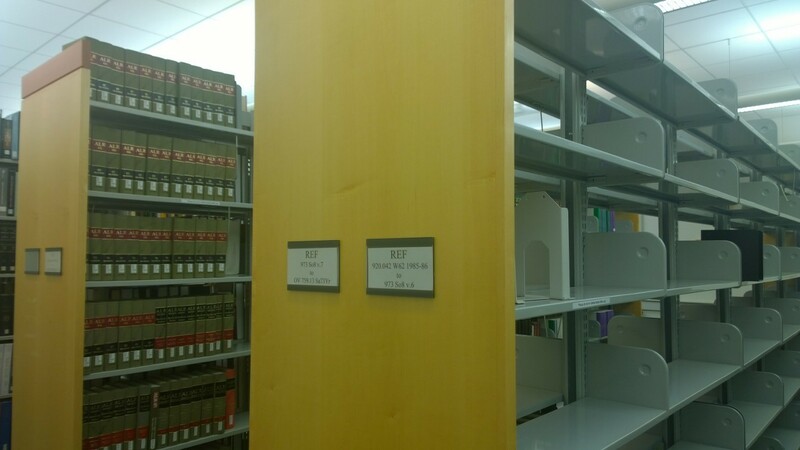 For help locating legal resources, please see the helpful staff at our Reference Desk. Be aware, however, that we do not provide legal advice. We are currently shifting the Reference Collection back where the Pope County Law Library Collection used to reside. These are on the first floor, just around the corner from the Reference Desk. Our Reference Collection contains almanacs, thesauri, specialized encyclopedias, guidebooks, and other items designed to serve as a quick reference and general overviews of most subjects. 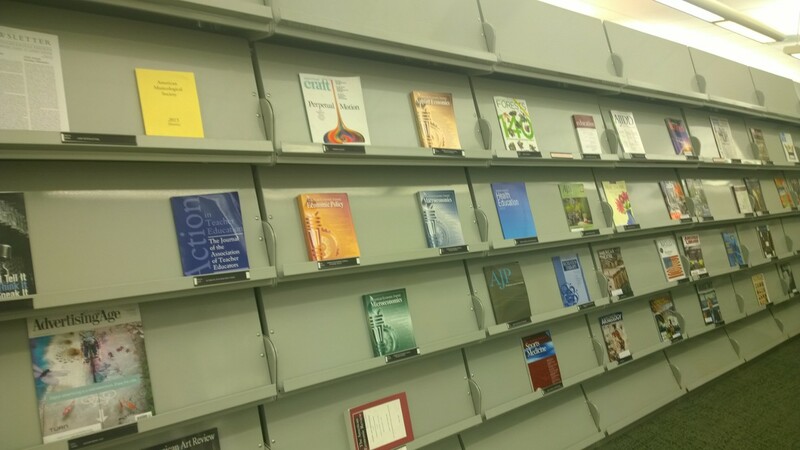 These books can be used in the library, but they cannot be checked out. This shift is still in progress, so if you can’t find what you are looking for, just ask the friendly (and mostly stationary) staff at the Reference Desk. Since many of our paper periodicals have transitioned to online only formats, searchable in our e-resources page, we have started to consolidate titles closer together. This will allow us to remove the excess stacks in order to expand casual seating. Look for these changes later in the summer. Stay tuned! For questions about these changes, or about anything else in the library, email your friendly neighborhood librarians. We’ll be here all summer, during our usual summer hours. Keep checking back for more updates as we continue to make changes to the library. Filed Under: Library Tagged: Journals, Library Collection, Maintenance, NEW! 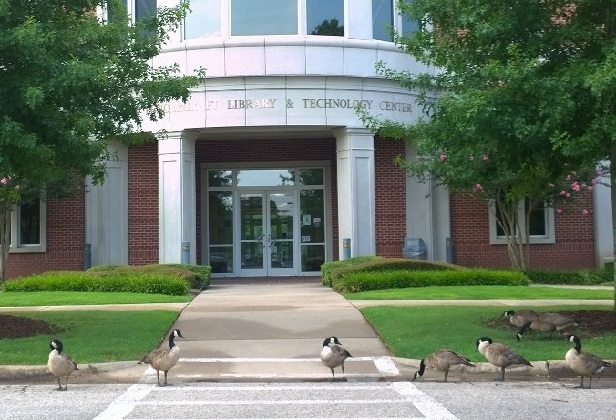 Since the inauguration has moved to Tucker Coliseum on Friday, April 17th, the library will remain open during our regular hours, from 7:00 a.m. until 6:00 p.m. After you finish attending the inauguration, come by the library and check out our new arrivals…literally! Keep checking back for more new stuff, new “news”, as well as old, awful puns. Filed Under: Library Tagged: Hours, Library Collection, Movies, NEW! In honor of Martin Luther King, Jr. Day, the Ross Pendergraft Library & Technology Center will be closed Saturday through Monday, January 17th-January 19th. While we’re closed, take a look at a selection of resources relating to Dr. King and the dream of equality to which he devoted his life. 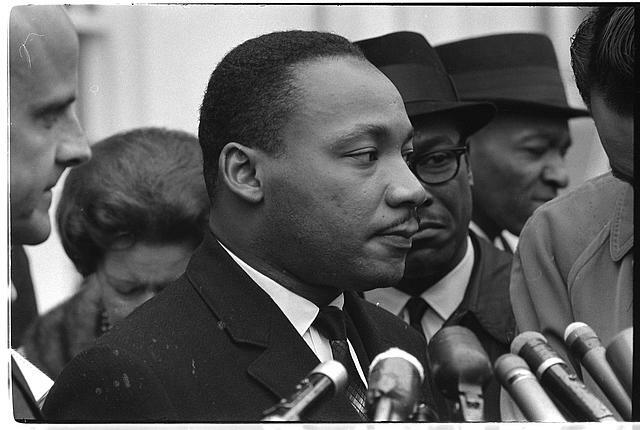 The definitive resource for digital resources pertaining to Dr. Martin Luther King, Jr., the King Center hosts nearly one million documents relating to his life and his work. Find speeches, telegrams, scribbled notes, and photographs of the civil rights leader throughout his life. In 1994, Congress designated the Martin Luther King Jr. Federal Holiday as a national day of service and charged the Corporation for National and Community Service with leading this effort. The MLK Day of Service is the only federal holiday observed as a national day of service – a “day on, not a day off.” It calls for Americans from all walks of life to work together to provide solutions to our most pressing national problems. This website include toolkits and project registration to organize other volunteers to join in a national day of civic service. Includes video interviews from a number of people sharing their experiences and impressions of Dr. King, including their reflections on his assassination, and the civil rights movement in general. Some of the participants include other civil rights activists of the time, friends, and colleagues who worked closely with Dr. King. Martin Luther King, Jr. [FBI file]. Collected by the Federal Bureau of Investigation, this free, government resource contains pages of government information relating to FBI surveillance of King during the 1960’s, as well as documents relating to his assassination investigation. Produced by PBS, this documentary pushes past the myths that have obscured King’s story to reclaim the history of a people’s leader. Using the personal recollections, diaries, letters, and eyewitness accounts of friends, family, journalists, law enforcement officers and historians, this film brings fresh insights to King’s difficult journey, his charismatic — if at times flawed — leadership, and his truly remarkable impact. Available for check-out in the Music Lab, 2nd floor. Includes the speeches, writings, interviews, and excerpts from five of Martin Luther King’s books. Presented in chronological order within topical groupings. Available in the Stacks, 2nd floor. 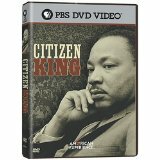 Martin Luther King, Jr. : the essential box set, the landmark speeches and sermons of Dr. Martin Luther King, Jr. This audiobook box set includes readings of all the landmark speeches of the great orator and American leader Martin Luther King, Jr. from his inspirational “I have a dream” to his fiery “Give us the ballot.” Available in Audiobooks, 1st floor. First-person account of the extraordinary life of America’s greatest civil rights leader. With thousands of King’s essays, notes, letters, speeches, and sermons at his disposal, the author has organized King’s writings into a posthumous autobiography. Available in the Stacks, 2nd floor. The Tech Library is dedicated to providing excellent support for learning, research, and discovery among the Arkansas Tech University community. 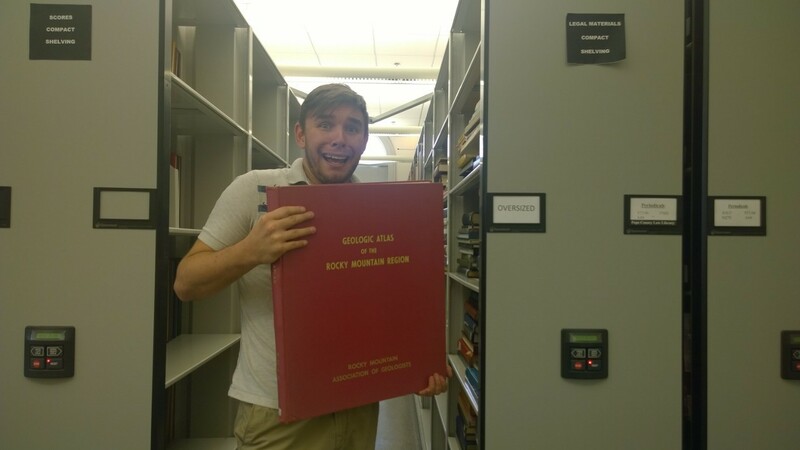 This blog offers a glimpse of the Tech Library’s physical and digital collections and its services. Visit us in the Ross Pendergraft Library & Technology Center or online at http://library.atu.edu.